This culinary cascade in a modern grey graphite colour will suit all modern kitchens - tradition with style, not to mention an essential storage solution. The ornate cast aluminium shelves add a decorative look and the uprights are made of steel, supported by widely splayed cast iron feet to ensure sturdiness when fully laden. Place your pots and pans in style, and perhaps place a plant on the top to soften the look. This saucepan tower is made in the UK and has a quality that's built to last. 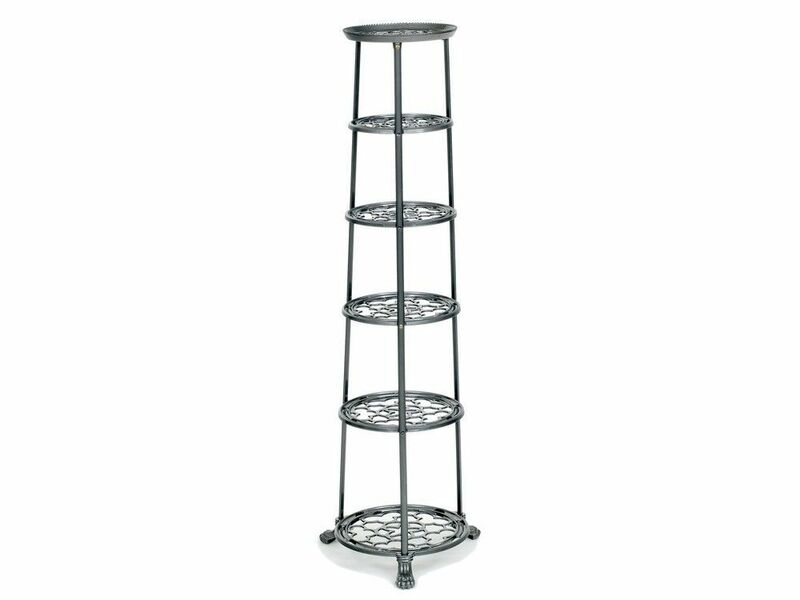 Other pan stands are available in various colours, both in 4 or 6 tier versions, so there's one to suit all kitchen decor.